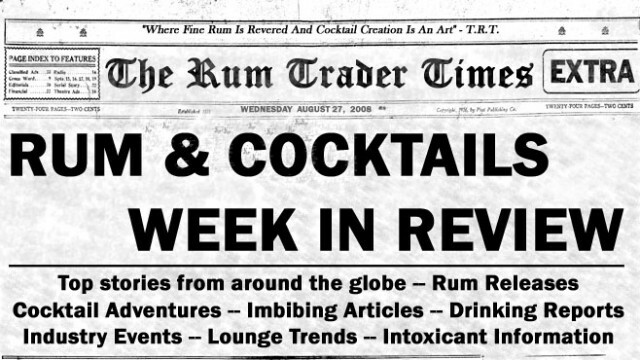 The CocktailWonk.com has been scanning the TTB again for new rum expressions coming to U.S. markets. Look for new expressions from Appleton Estates, Ron Zacapa, Samaroli and The Real McCoy. View all of the discoveries at CocktailWonk.com. CoastalLiving.com offered up 13 rum cocktail recipes. Including the Seaside Sunrise. Combine first 5 ingredients in a large pitcher. Pour into ice-filled glasses, and top with sparkling wine, if desired. Garnish, if desired. TribLive.com has a short article about Pittsburgh’s Maggie’s Farm rum vying for the USA Today’s ’10 Best Best Craft Rum Distillery” contest.